Wisdom teeth generally cause problems during the late teenage years and early twenties but can also become problematic later on in life. Often, they can erupt through and not cause any problems at all. However, wisdom teeth can become impacted and cause infection, discomfort and pain. Our dentists at Cannon Hill Smiles, Brisbane will recommend wisdom teeth removal if they are impacted, causing an infection or damaging adjacent teeth and jaw structures. Many dentists in the region will refer you away to get wisdom teeth extracted where you are put to sleep under a general anaesthetic. Although we offer the option of being put to sleep, we have also removed many teeth, safely, in the dental chair with just a local anaesthetic. This can avoid many costs associated with a private hospital, general anaesthetic and other specialist fees. We are also a Bupa Members’ First Platinum and Medibank Members’ Choice Advantage provider and you will get much better rebates having your wisdom teeth removed with us. If you have been referred to a specialist because your dentist does not perform wisdom tooth surgery, feel free to contact us for a second opinion. At Cannon Hill Smiles we are fortunate to have the services of Dr Tharini Hettiarachchi, a general dentist with a special interest in wisdom teeth surgery. She has removed many wisdom teeth for patients all over Brisbane and South-East Queensland and also helps other dentists become proficient in tooth extractions. Here is a training video made by one of our dentists to help mentor other dentists in the procedure. This is a highly difficult, “sideways” impacted tooth. Please ignore the technical jargon as this is used to instruct other dentists. As you can see in the video, the patient does not feel any pain at any stage. 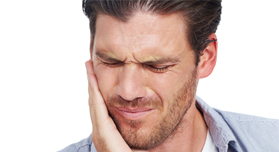 We are you first choice for wisdom tooth extraction in Morningside, Bulimba, Carindale, Carina, Tingalpa and surrounds. If you or any of your family has any issues with wisdom teeth, then please feel free to give our friendly dentists a call on 07 3902 0333.